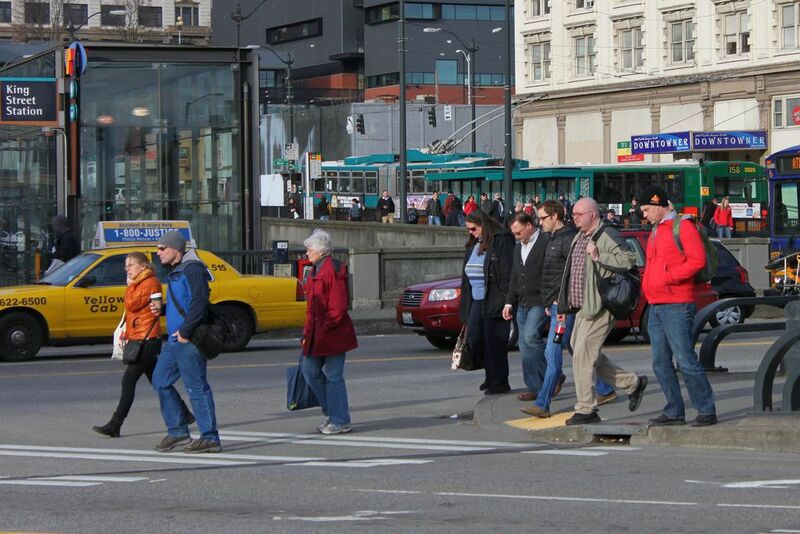 Seattle is the eighth-safest metro area for pedestrians in the United States, ranked 97th out of the 104 largest, according to a study released this year by Smart Growth America. Even Seattle’s five pedestrian and three bicyclist deaths are a decline from previous years, according to the Seattle Times. 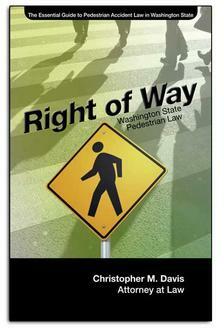 The Times article states that over the past 10 years, around 4,500 pedestrians have been hit by cars in Seattle. In the same time period, 3,800 collisions have occurred between cars and bicycles. For a more detailed breakdown of Seattle’s pedestrian and bicycle safety, the Times article has an interactive map that shows where the most pedestrian and bicycle accidents happen. Here is a list of the city’s most dangerous places. According to the Seattle Times story, the following are the five most dangerous intersections for pedestrians in Seattle. Fifth Ave. and Spring Street: 20 injuries since 2008. Fifth and Pike Street: 18 injuries. Third Ave. and Pike: 15 injuries. Broadway East and East Olive Way: 14 injuries. 12th Ave. and East Madison Street: 14 injuries. According to the Seattle Times story, the following are the five most dangerous intersections for bicyclists in Seattle. Eastlake Ave. East and Fuhrman Ave. East: 14 injuries from collisions since 2008. Second and University Street: 12 injuries and one fatality. Troll Ave. and North 34th Street: 12 injuries. Northeast 45th Street near First Ave. Northeast: 12 injuries. Melrose Ave. and Pine Street: 12 injuries. If you or a loved one has been injured in a bicycle or pedestrian accident, Attorney Chris Davis and the legal team at Davis Law Group, P.S., can help you receive the damages you deserve. Our pedestrian accident attorneys work on a contingency fee basis, meaning there is no obligation for simply discussing your case with our legal team.